The Memphis-born Presley reclaims those roots on her new album Storm and Grace — an Americana-inspired showcase for her songwriting talent and smoldering alto voice. Produced with elegant restraint by 12-time Grammy Award-winner T Bone Burnett, Storm and Grace is a marked departure from Presley’s previous albums, 2003's gold-certified To Whom It May Concern and 2005's Now What, which both debuted in the Top 10 on Billboard’s Top 200 chart, “I love the songs, but I think I was hiding behind a lot of sonic layers because it was scary to go out there,” Presley says. “It’s easier to bury yourself in the noise so you don't stand out. This album is a lot more stripped-down and naked, both musically and lyrically.” This Deluxe Version of “Storm & Grace” contains 4 bonus tracks. ¶ With all the hoopla that has surrounded her, it’s easy to forget that Lisa Marie Presley is at heart a simple Southern girl whose earliest musical memories are of obsessively listening to 45’s in her bedroom at Graceland and of her dad catching her singing into a hairbrush in front of a mirror at the age of three. ¶ The album’s rootsy golden tone is set immediately with the opening track “Over Me,” with its echoey guitar line, burping bassline, shuffling backbeat, and lyrics that lament a lover who’s replaced her, while the ominous, swampy lead single "You Ain't Seen Nothin' Yet" and the pedal-steel and mandolin-driven title track sound like they could have been recorded during an impromptu back-porch jam session. ¶ Not wanting to abandon her craft, and after gentle prodding from her new manager Simon Fuller, Presley agreed, in the summer of 2009, to sit down with some new songwriting collaborators, who included three Brits: Sacha Skarbek (who’s written with Adele and Jason Mraz among others), and singer-songwriters Ed Harcourt and Richard Hawley, who is also a member of Pulp. “There was no agenda,” she says. ¶ “I wasn't trying to write a hit or to please any particular audience. I was just enjoying the process of being creative with great people who really love music.” The first song to emerge was a gentle ballad called “Weary,” which Presley wrote with Hawley. “That one turned the tide and sparked the whole sound of the record,” she says. Over an eight-month period, Presley wrote 28 songs including “Storm and Grace” and “How Do You Fly This Plane?” with Hawley; “Un-Break” and “Close To The Edge” with Skarbek; and “Soften The Blows” and “Over Me” with Harcourt. ¶ Taken as a whole, Storm and Grace is a unflinchingly honest piece of work from this songwriter, who, though known for her tough frankness, has managed to create a tender, consoling thread that runs throughout the album. "Weary" may concern a relationship that didn't work out, but it is suffused with a genuine warmth, as Presley sings: "I will always love you/you can move on, dear." ¶ Presley is also glad to have a new label home, Universal Republic, which will release Storm and Grace on May 15th. “I have a new team around me, and none of the things that brought me down before,” she says, adding that although she is nervous about how Storm and Grace will be received, the joy of knowing that she’s connecting with an audience makes it all worth it. ¶ “I’m compelled to do this because I’m a music lover and I feel that music is so important in the world. That’s what drives me — pouring your heart and soul into something and hoping that it can change someone’s life in some way. I’m looking forward to performing live and interacting with people who are there for the music and nothing else. Getting that instant reaction is the best part.” // Airplane "Lisa Marie"
¶ In November 1975, her father named one of his private aircraft, a converted Convair 880 jet (original passenger capacity: 100), after her. Elvis spent upwards of $1,000,000 refurbishing it to use as his main transport while on tour. 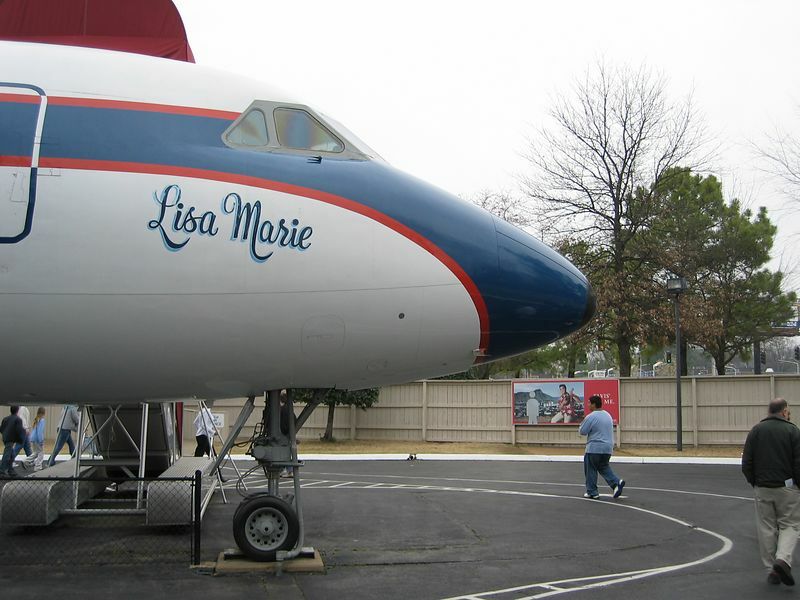 The "Lisa Marie" and one of Elvis' other planes, "Hound Dog II", are currently on exhibit at the Graceland mansion museum of Elvis Presley in Memphis, Tennessee. 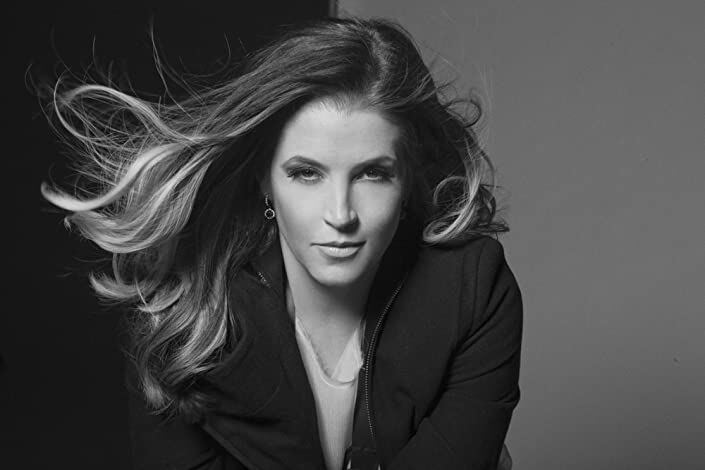 ¶ Lisa Marie Presley will release a new album, "Storm and Grace," on May 15. It will mark the singer's first album in five years and her Universal Republic/XIX Recordings debut. It was produced by Grammy winner T Bone Burnett and recorded at The Village studios in Los Angeles. ¶ Said to reflect her "southern roots," Elvis Presley's only daughter, managed by American Idol creator and XIX founder Simon Fuller, traveled to England for inspiration and found it in the artist-friends Richard Hawley (from Pulp), Ed Harcourt, Sacha Skarbek and Fran Healy (from Travis). ¶ "Nothing was planned or contrived in any way and out of it came a very organic record that was always inside of me and that I am incredibly proud of," Presley says in a Thursday announcement. "It was a dream come true and such an honor when T Bone liked the songs and produced and played on the record." ¶ Adds Burnett: "I was curious. I wondered what the daughter of an American revolutionary music artist had to say. What I heard was honest, raw, unaffected and soulful. I thought her father would be proud of her. The more I listened to the songs, the deeper an artist I found her to be. Listening beyond the media static, Lisa Marie Presley is a Southern American folk music artist of great value,"
To promote the album, Presley will also be performing on en episode of American Idol, tentatively scheduled for May. Presley has released two previous albums, 2003's "To Whom It May Concern," which was certified gold, and 2005's "Now What," both of which debuted in the Top 10 of The Billboard 200. ¶ Fortaken: http://www.billboard.com // See also: List of albums produced by T-Bone Burnett ¶ (T-Bone Burnett is an American songwriter, musician and producer. He was born Joseph Henry Burnett in St. Louis, Missouri and raised in Fort Worth, Texas. He emerged from a self-imposed 14-year hiatus as a recording artist in 2006 to release two collections of music: The True False Identity, his first album of new original songs since 1992, and Twenty Twenty - The Essential T-Bone Burnett, a 40 song retrospective spanning Burnett’s entire career of music-making. Elvis Presley's plane, "Lisa Marie", named after his daughter on display at Graceland.